For those of you who work and have a family, figuring out how to balance it all is hard. Adding extracurricular activities to the weekend or evenings takes up even more of your time. And don’t forget about the guilt that can be felt for parents who have little ones but work. I have been in this place many times. What are the priorities in my life right now? Often, my priorities change. When I am aware of what is important to me right now, I am able to regroup, refocus, and build my life around those priorities. When I was single, I only had myself to worry about. When I got married, it became about our priorities. Now, I have to look at what my priorities are in light of having a husband, two kids, a house to run, and a full time job. What can I cut out to take some of the burden off? I like to think I am a highly organized person. A clean person. But when time is limited, the first thing I will give up is cleaning the house. Of course we need clean clothes, dishes, and a *mostly* sanitary house. My standards for cleanliness have changed over time. My standard for meals has changed as well. As long as there is a protein and veggies, we are good to go in my book. 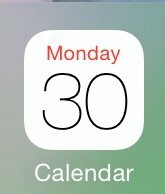 What can I put on the calendar that will actually get done? I use my calendar religiously. I write on it when I pay bills, all of my appointments, when I will work out, and even family dates. Sometimes, when I forget my priorities, I put items on my calendar that I know I won’t ever do. Before I put anything on my calendar I ask myself “is this realistic of my time?” If the answer is no, then I leave it off. Life is meant to be lived to the fullest. After all, 1 out of 1 people die. Your time is limited on this earth. When we trudge through life, it becomes mundane and meaningless. Figuring out what is important to you and working towards those goals will bring fulfillment. My question to you is, are you living a meaningful life? If not, what is stopping you?